Well, I made it through the whole week without playing, but on Saturday I finally added a new subscription and got some more gaming time. Seems like I’m a little addicted to WoW all over again, after all this time.. and that’s just from the fun of levelling a new character that I love, once more. Despite these just a little uncomfortable circumstances (typing really is hard if you have to look for the right keys all the time!) I finally made it to level 60 on my hunter over the weekend and am going to proceed swiftly towards 90, hopefully. The ability to fly really makes everything so much easier.. 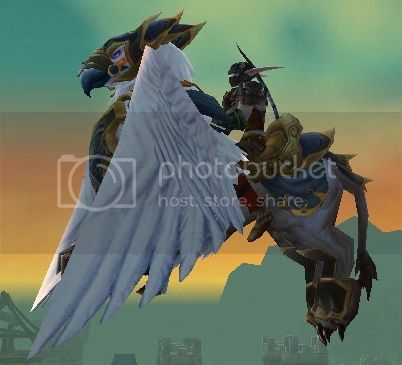 This entry was posted on Tuesday, August 27th, 2013 at 06:12	and tagged with blogging, gaming, world of warcraft, WoW and posted in Stuff, World of Warcraft. You can follow any responses to this entry through the RSS 2.0 feed.